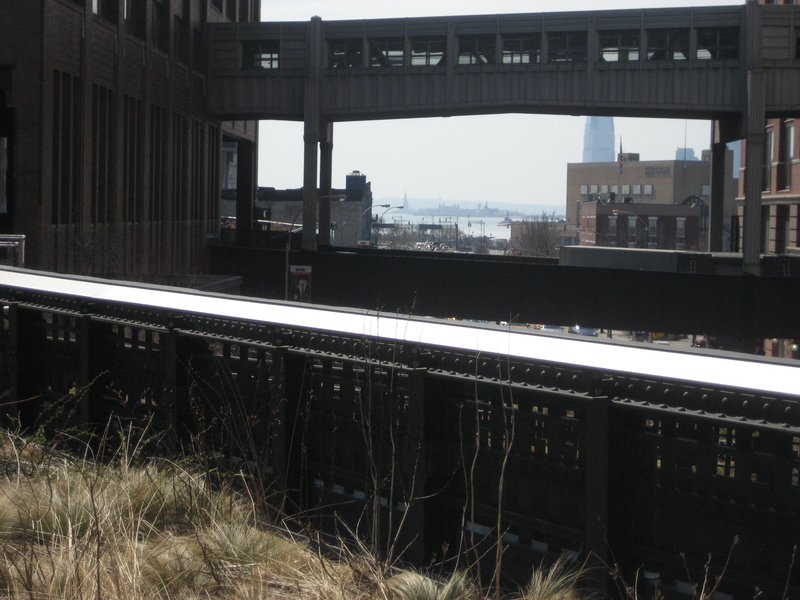 Before leaving the city yesterday, we took a stroll on the new High Line Park after breakfast. 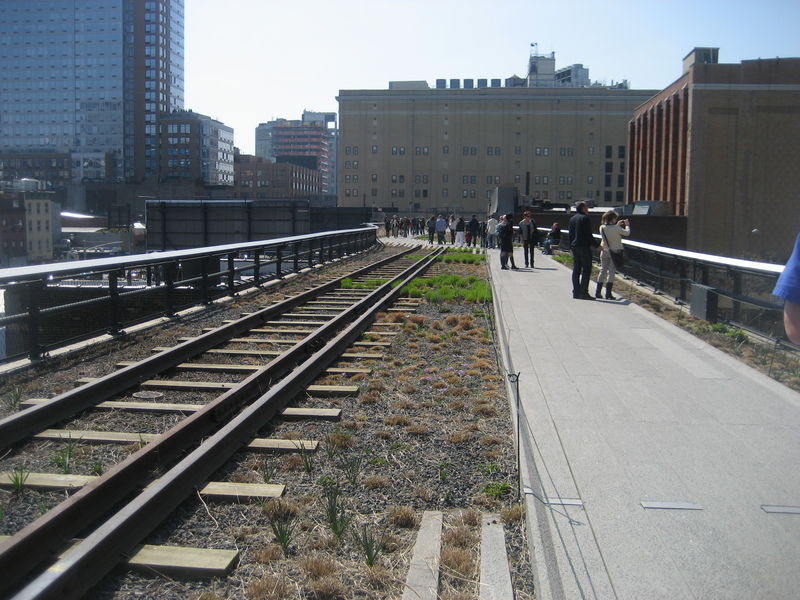 The High Line was originally constructed in the 1930s, to lift dangerous freight trains off Manhattan’s streets. 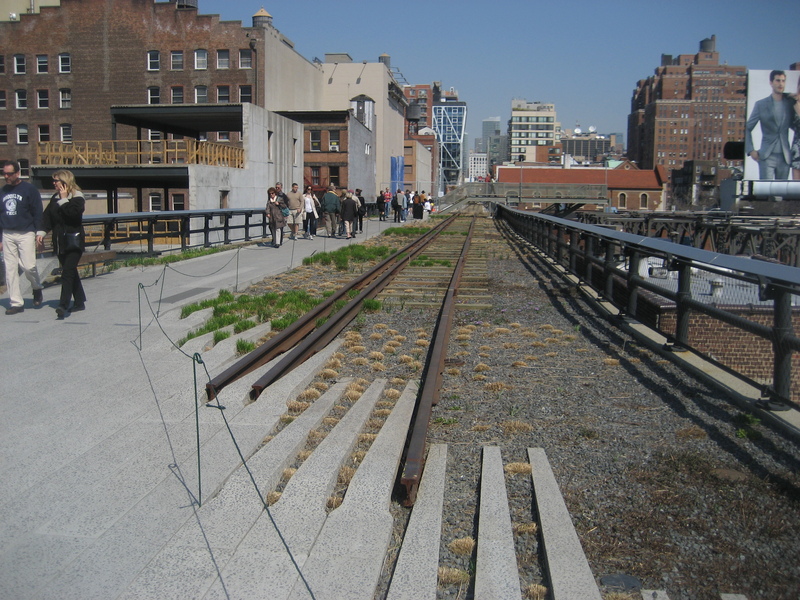 In June 2009, they opened the first section of the park, which will eventually be 1.5 miles long stretching from the West Side neighborhoods of the Meatpacking District, West Chelsea and Clinton/Hell’s Kitchen. Right now, it is only 4-5 blocks long. 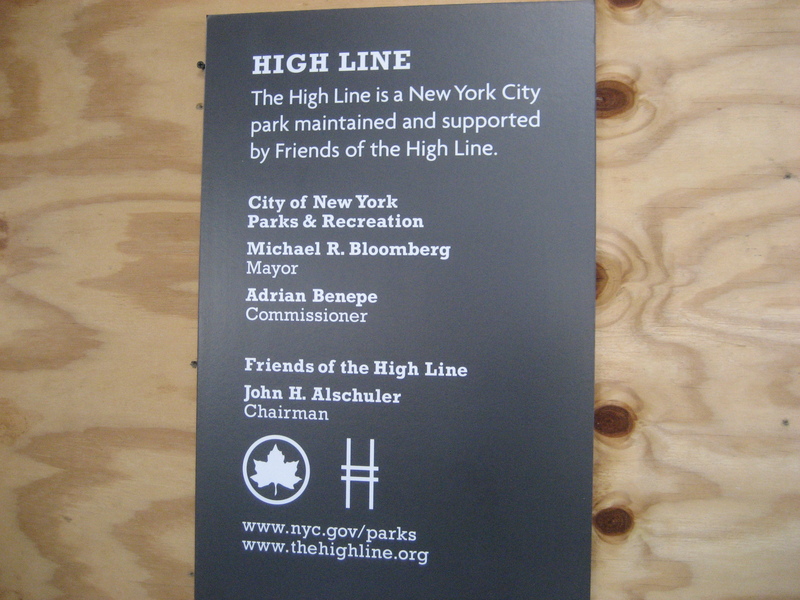 I was not sure what to expect, but it was pretty cool to see an elevated park in the city. 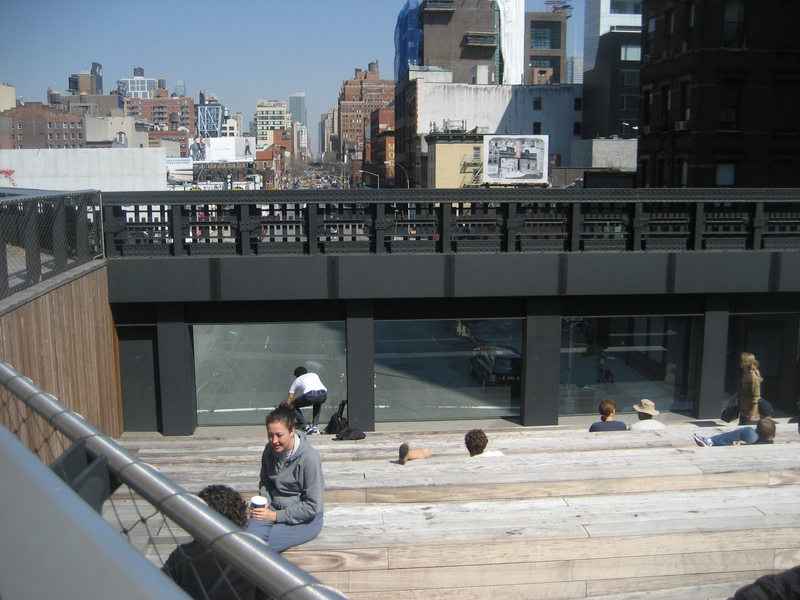 It was such a beautiful day, that tons of people were just hanging out. 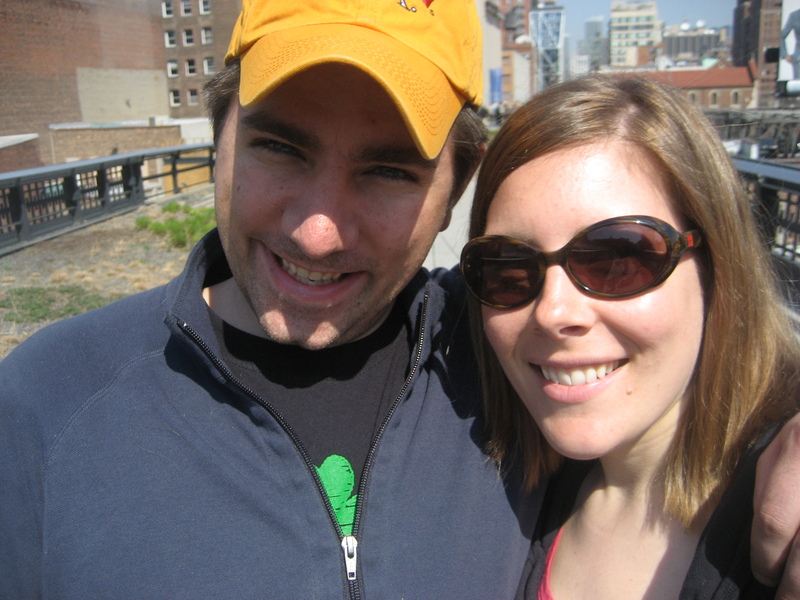 It was a pretty cool way to spend the last few minutes of our time in New York City! And, a nice way to stretch my legs after breakfast and before our car ride home. I ended up snacking all day yesterday, so I didn’t snap any photos. Sometimes after long runs, I want substantial meals, but sometimes my stomach doesn’t really cooperate and I just like small snacks. I do try to keep them all fairy healthy, and make sure to drink a lot of water and coconut water to prevent myself from getting dehydrated. 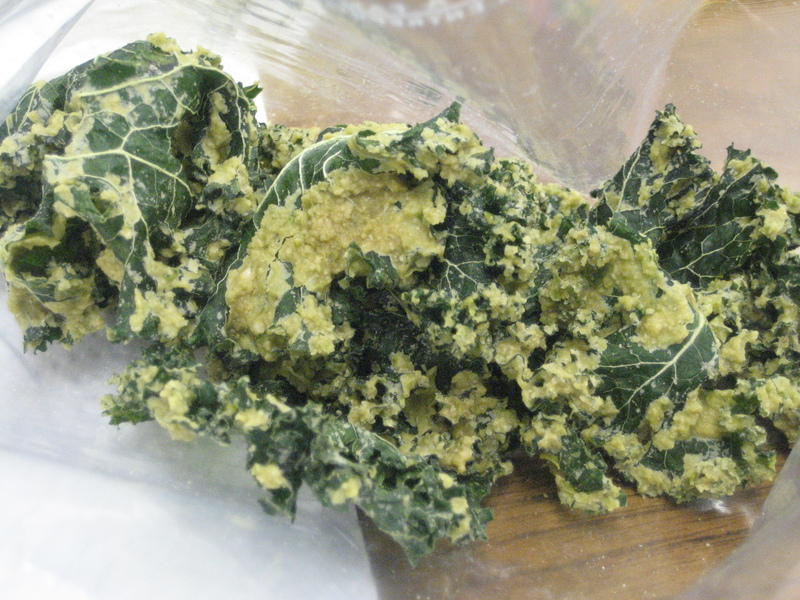 Yesterday included a lot of pretzels, macaroons and kale chips – random, but what I wanted. This morning, I woke up and was finally craving some protein, but I still felt a little dehydrated, so I whipped up a Cherry Chocolate Bomb Smoothie. 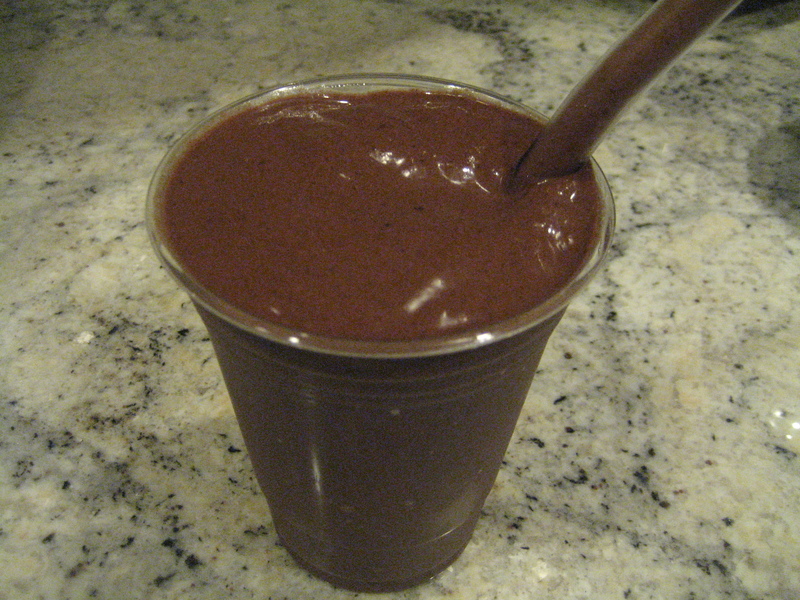 With the addition of maca (1 tsp), Chocolate Amazing Grass (1 scoop) and extra cacao nibs (1 tbsp). I added the Chocolate Amazing Grass to sneak some greens into my breakfast! Plus, it just makes it more chocolaty and who doesn’t love that?! It hit the spot. 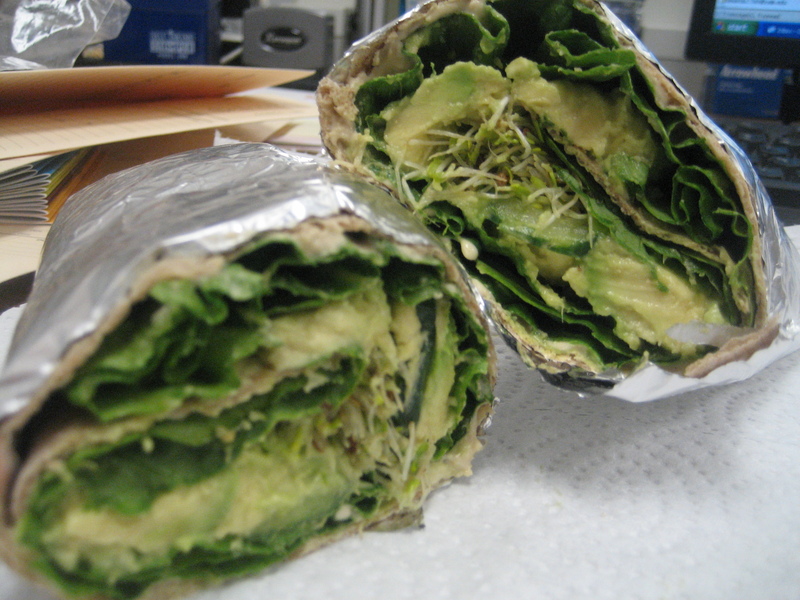 Lunch was finally some real greens – A whole wheat wrap with hummus, lettuce, sprouts, cucumber and avocado. 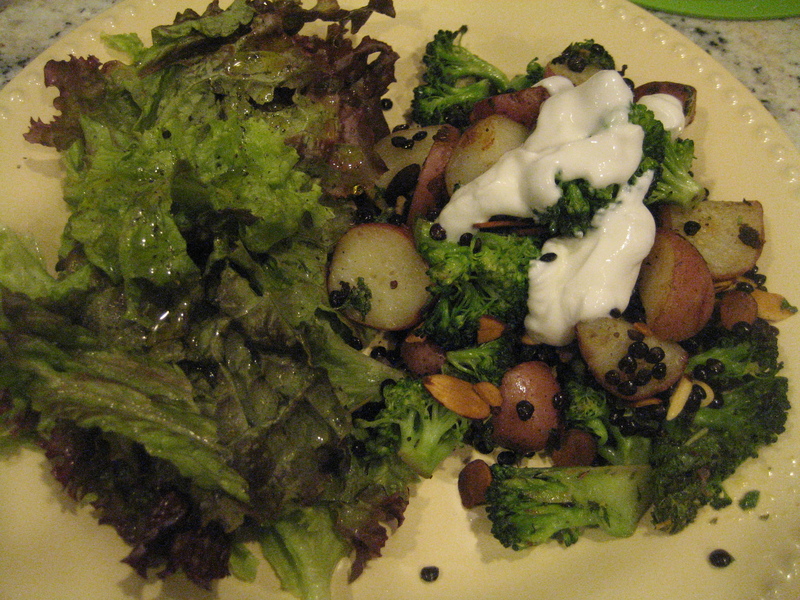 And, a side of Cheesy Kale Chips and coconut water. 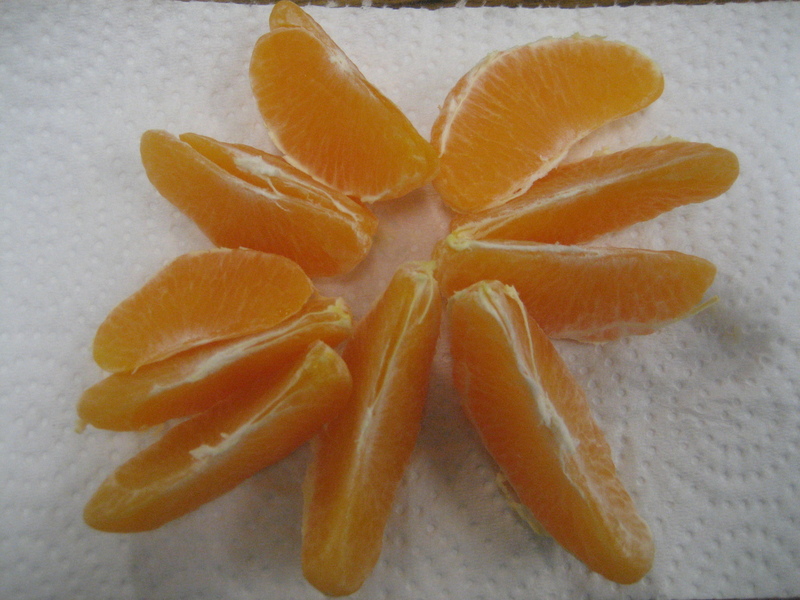 With a sweet and juicy tangelo for a mid-afternoon snack. For dinner, we wanted something quick. After being away for a weekend, the last thing I want to do is cook, but I also crave home cooked meals. Our Lentil Almond Stir-fry was the best of both worlds. We substituted a bit for this recipe since we didn’t have all of the ingredients. 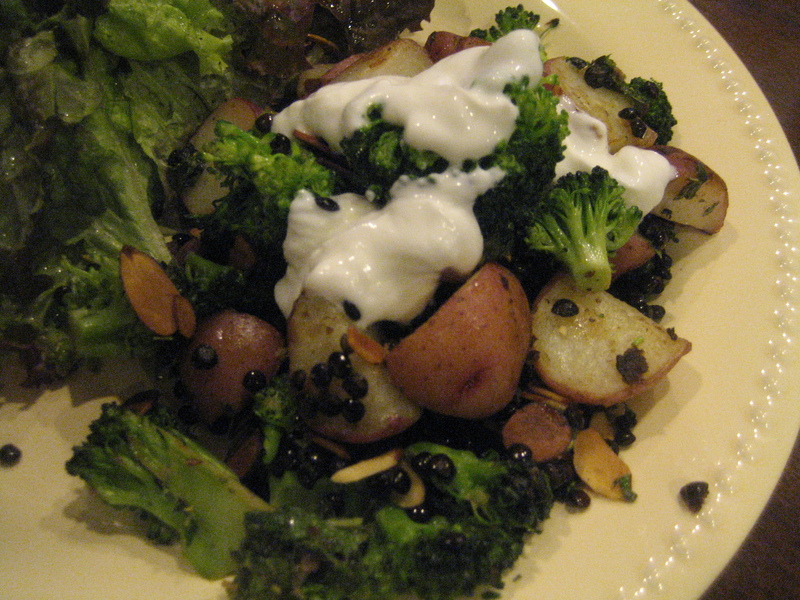 Broccoli for Brussels sprouts, Creamer potatoes for purple potatoes. 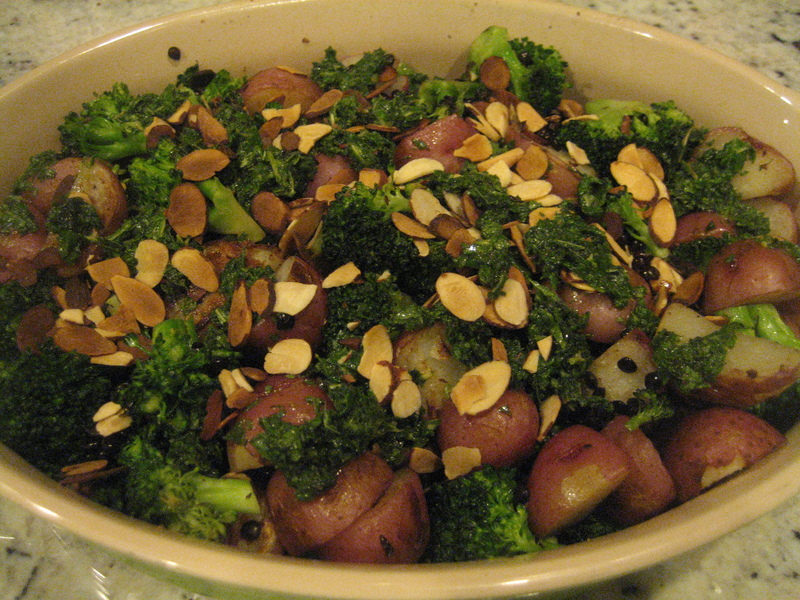 It still tasted delicious, I loved the broccoli in it. I feel exhausted tonight, my body is still in recovery mode, so i’m taking it easy and vegging on the couch. After an endurance event, it’s very important to listen to your bodies cues. I have been chugging water all day and trying to stretch out my tight hip flexors every few hours. I think some yoga and the elliptical or a walk is in store for tomorrow to stretch it out even more. i love wraps with hummus and avocado – so yum. great blog girl. i admire u tremendously!